2018 is a landmark year for China. SynTao shares CSR trends from their new report - what are the opportunities? 2018 is a landmark year for China. It is the 40th anniversary of China’s economic reform and opening-up, it experienced the party’s 19th National Congress, and it is a crucial year for the fight against major financial risks, poverty alleviation, and pollution prevention and control. In this backdrop, the development of Chinese corporate social responsibility (CSR) in 2018 will show new trends and characteristics. 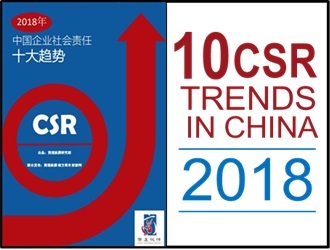 Joining forces with Caixin, SynTao released the report “Top 10 CSR Trends for 2018 in China” – check out a summary of these trends below, from focus regions to mandatory disclosure. The report from the 19th National Congress pointed out that socialism with Chinese characteristics has entered a new era, and the major social contradiction in the country is now between the people’s ever-growing needs for a better life and unbalanced development. 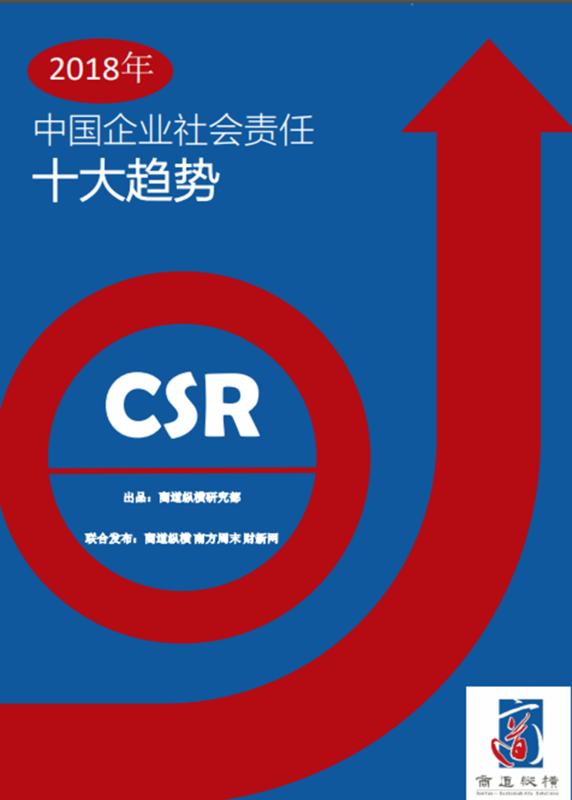 This new era will bring a new pattern for the development of Chinese CSR, and future CSR will be more closely linked with the Chinese people’s well-being. Environmental protection, health care, food safety, culture and education, and community integration will become increasingly prominent. In particular, environmental protection has been identified by the Central Economic Working Group as one of the three major challenges in 2018. As such, the past paradigm of “GDP defining heroes” will gradually be revised. In this shifting landscape, enterprises must pay attention to environmental protection, especially in supply chain management. They should also pay attention to the benefits that enterprises can bring to society. China is proposing a “a community of shared future for mankind” to demonstrate its rise as a global power. In recent years, China has established a leading position in global climate governance and the “Belt and Road Initiative” has gradually become recognised. To match China’s international status, China’s CSR practices will accelerate its pace to catch up with global standards and even lead in some areas. In 2018, China will continue to stand out in CSR issues in various industries, ranging from the cobalt mining industry, carbon disclosure issues in the financial industry, and environmental impacts in the internet finance industry. Foreign enterprises should fully recognise the changes in China’s CSR landscape, work closely with local Chinese stakeholders, innovate solutions, and grow together. The Xiong’an New District, known as the “Millennium Plan,” will bring many innovative and experimental ideas for building future cities. Many central SOEs and large-scale private enterprises have already participated in the construction of Xiong’an New District. We expect that in 2018, governments, companies, and other organisations will come to Xiong’an to discuss CSR, especially in terms of adding value. Further south, China will also be looking to develop the Greater Bay Area (GBA) and the Yangtze River Delta, and plans have already been outlined. The development of these two regions will drive structural changes in CSR. Focus industries will be finance, technology and high-end manufacturing, while focus issues will be environmental protection, community and ethics. Poverty alleviation is another of China’s three major challenges in 2018, and enterprises have a significant role to play. Enterprises should take the more long-term, “teach a man to fish” approach instead of a “give a man a fish” approach to tackling poverty. Through this, companies can find business opportunities. E-commerce enterprises are already setting an example by investing in “three rural issues” to help the poor and the implementation of China’s rural revitalisation strategy. Many enterprises still have issues on how to justify poverty alleviation strategies. In the past, many stories on tackling poverty have been justified by policy-focused logic and have proved difficult to disseminate. In 2018, we expect this to improve with more market-focused logic and emphasising the impacts of poverty alleviation efforts. With the strict enforcement of environmental laws by the government, environmental NGO activism and rising public awareness over environmental issues, manufacturers of consumer electronics, fashion products, food & beverage, and e-commerce companies that use packaging in large quantities are facing increasing pressure. In 2017, the ecological impact of takeaway food and plastic pollution went viral on the Internet. We expect that in 2018, consumer goods manufacturers and e-commerce companies will face even greater pressure. Some companies will adopt innovative ways to reduce, reuse, and recycle packaging waste. The establishment of an efficient recycling network will be the main innovation challenge going forward. On the demand side, the trend of green consumption will continue. In particular, green consumption related to personal interests, such as home improvement building materials, food, toys, and clothing will continue to be sought after. Starting from 2018, China’s regulatory authorities will progressively establish and improve a mandatory environmental information disclosure system for listed companies and debt-issuing enterprises. According to latest regulations from the China Securities Regulatory Commission, key polluting companies are required to disclose environmental information compulsorily while other companies must follow the “comply or explain” principle. In 2018, the Hong Kong Stock Exchange’s “Guidelines for ESG Reporting” will enter its second phase. Listed companies are required to disclose key environmental performance indicators. From July, the GRI standard will fully replace the G4 guidelines. With these changes, CSR reports will have a new look. 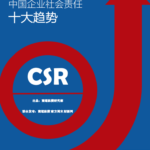 In addition, after the Schaeffler incident, the need to include subsidiaries and supply chains in CSR reports became even more pressing. Meanwhile, the contents and purposes of CSR reports are also being diversified into different purpose-specific reports for different audiences. A shift in market environment and investment styles has meant that ESG investment is being increasingly recognised by mainstream investors. Negative cases such as the Red, Yellow and Blue Kindergarten and Qudian which occurred in 2017 also revealed to investors the risks of neglecting CSR and ESG. We expect that in 2018, policymakers, industry associations and institutional investors will actively promote and participate in responsible investment. We also expect more fund companies to research and develop ESG investment products. Supporting infrastructure for ESG investment, such as data and index services, will also usher in new development opportunities. As an ESG weathervane, the Landsea ESG Development Index (ESGDI) is expected to gradually rise in prominence. Green finance will remain as the shining star in the field of responsible investment, and the globalisation of the green bond market is expected to achieve a breakthrough. The internet industry is a frontrunner here. Industry giants have extended commercial competition to the charity sector, both for brand-building and to increase traffic. We expect that this trend will be further strengthened in 2018. In many industries, especially those that are public-facing and more reliant on brand reputation, public interest will become a battleground for leading companies and the boundary between public interest and business will become increasingly blurred. The application of new technologies will further promote the integration of business and charity. We expect that new technologies such as cloud computing, big data, blockchain, mobile internet, and artificial intelligence to find more applications in the public welfare space. The Beijing Winter Olympics will uphold the green, open and honest ideals of the Olympics, which will bring new opportunities and new ideas for CSR projects in 2018 and beyond. On the one hand, large-scale enterprises can join the Winter Olympic Games as official partners or sponsors for their core CSR project for the next four years. On the other hand, companies that cannot become partners or sponsors can combine snow sports and characteristics of the Jing Zhang area with their own CSR projects. Regardless of whether it is in society or the business sector, the popularity of CSR is getting higher and higher. More and more companies have started to set up CSR posts, and the demand for CSR professionals has skyrocketed. We expect that this trend will become more apparent in 2018, and will expand from first-tier cities to second-tier cities and from multinational corporations to state-owned and private enterprises. This increase in demand will drive the development of CSR talents. The Syntao Academy is a significant step in this direction. Plus, in 2018, the Chinese Corporate Citizenship Committee will launch the CSR Professional Manager Certification, which will be an innovative attempt to cultivate CSR talent. Meanwhile, some senior CSR managers who have been practising for more than a decade face challenges going forward. What skills they need to upgrade and what value they will create for the company are core questions that they have to answer. Companies Are Taking Water Security Seriously – Here’s How – CDP’s Cate Lamb shares key findings from their 2017 Global Water Report, which includes a 41% increase in companies disclosing and a record number of corporates achieving an ‘A’ score. Is putting an internal price on water the next step?